Beachcombing as a child, I marvelled at the things spewed out by the sea at its tideline: chunks of coal, smoothed glass, rubber gloves, ashtrays stamped with ferry logos and, on one particularly memorable occasion, a pair of false teeth. The sea, to paraphrase Walt Whitman, is large; it contains multitudes. Tania Kovats’ ‘Oceans’ exhibition, at Edinburgh’s Fruitmarket Gallery, is particularly impressive for its ability to keep in play the multitudinous issues and ideas encompassed by the sea – from geopolitics to global warming – without losing a granular, micro-level engagement with the specificities of form and materials. 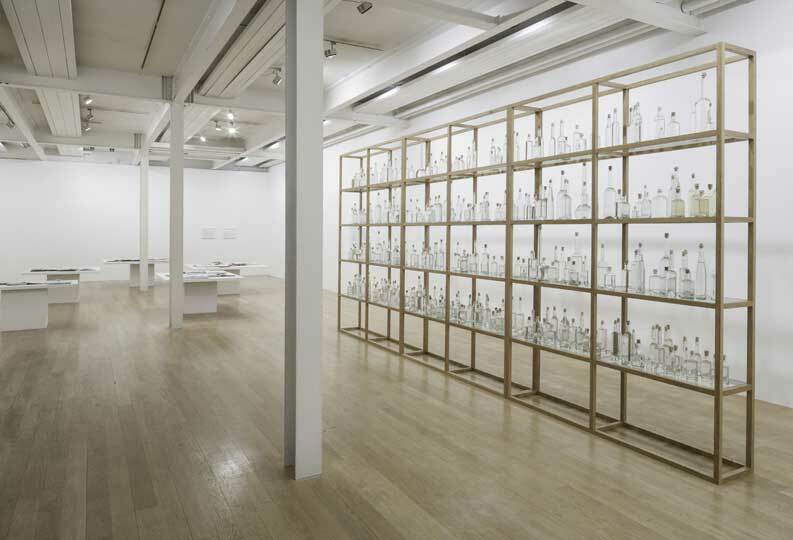 The exhibition centrepiece All the Sea (2013–14), which consists of a large, four-tiered shelving unit stacked with glass bottles, is a case in point. Collected by participants, each bottle contains water from a different stretch of ocean, carefully numbered and tagged. Kovats received the water in a range of receptacles, many with names, pictures and messages attached, but has described how she wanted to impose an organising form onto these heterogeneous submissions by placing them in similar glass vessels. The result is very beautiful, while conveying the inherently quixotic nature of attempting to fix and chart something as unstable as the ocean. This tension similarly infuses works at the other end of the scale in ‘Oceans’, notably several watercolours on graph paper. In places, the gridded lines constrain the watery pigment’s movements, but at others the colours languidly unfurl like smoke and break through the geometrical structures. In a related series, Kovats has given the making of the drawing over to evaporation, soaking paper in water, ink and salt before leaving it to dry. The resulting pieces retain a residual mineral glitter, while the paper attains a thickness that is almost sculptural. For all the diversity of materials – ceramic, maps, ink, watercolour – ‘Oceans’ consistently returns to moments of uncanny stasis (the calm before the storm) amidst febrile movement. 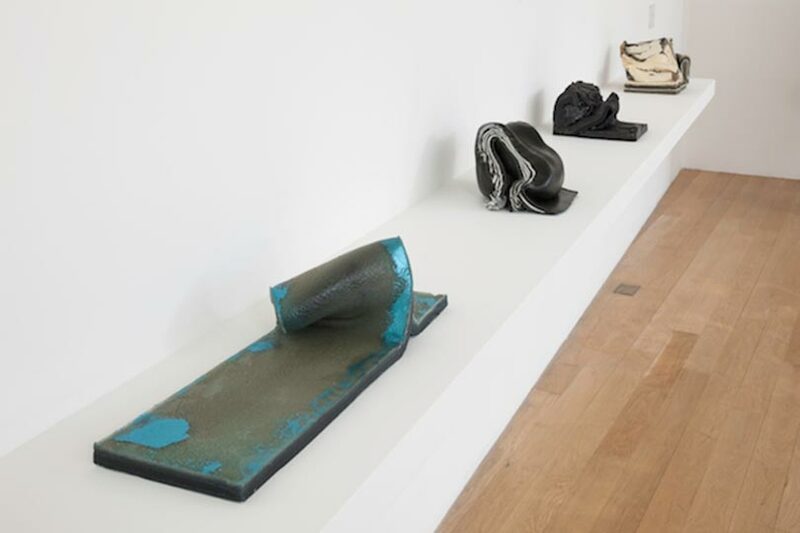 Kovats’ group of Schist sculptures – reminiscent of Lynda Benglis’ Polyurethane pours – suggest rock strata, shifting ocean-floor sediment and crumbling cliff formations. Their gelatinous surfaces, enlivened with the glitter and sparkle of the tawdry resorts that Britain does best (Margate, Weston-Super-Mare, Blackpool, Cromer), imply that while they might be still for now, they won’t be for long. As part – or rather continuation – of ‘Oceans’, Kovats has produced a book entitled Drawing Water, which brings together multiple artistic and scientific responses to the sea. When the subject matter is as multitudinous as it is in ‘Oceans’, this alternative to an exhibition catalogue feels particularly apt, and could perhaps be used more frequently by galleries as a way of extending debate and ideas beyond their walls. 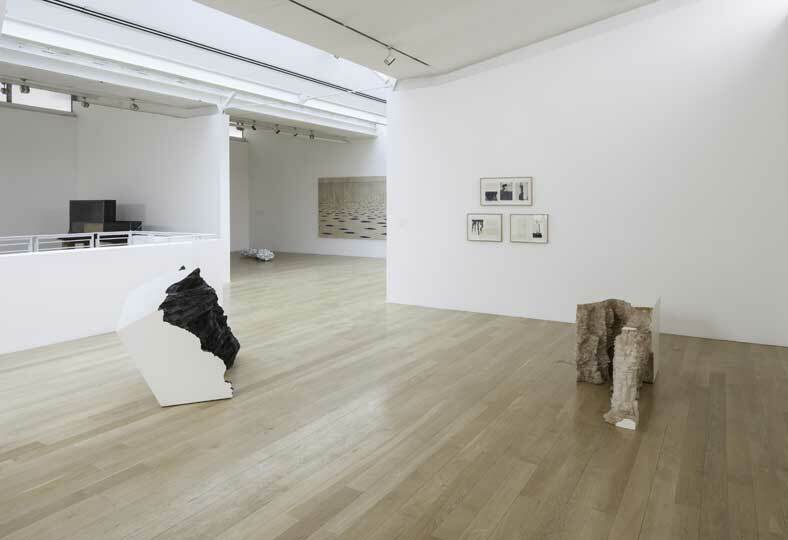 ‘Tania Kovats: Oceans’ is at the Fruitmarket Gallery, Edinburgh, until 25 May.